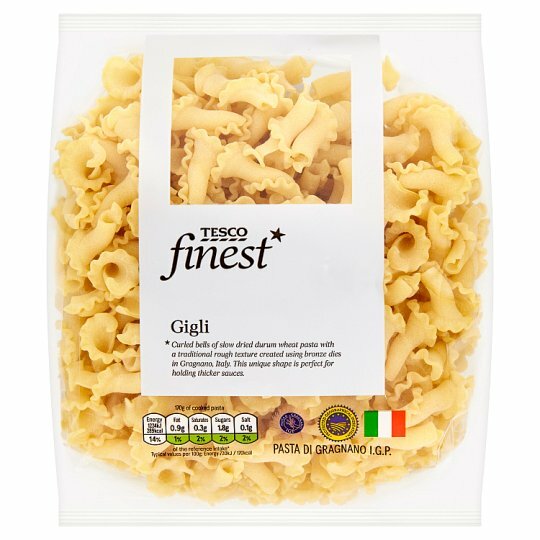 Dried gigli pasta made from durum wheat semolina. Curled bells of slow dried durum wheat pasta with a traditional rough texture created using bronze dies in Gragnano, Italy. This unique shape is perfect for holding thicker sauces. Instructions: Allow approximately 75g per person. Add the pasta to a large pan of boiling water, stir and return to the boil. Cook for 5-7 minutes, drain well and serve immediately.